The eighth day of boxing in Rio has concluded, and we had a bunch of knockouts, a gold medal fight set for Monday, and some more impressive performances all over the place. Well, mostly just in one place. Not so much a blowout as just a fight where one fighter was better in every way. Maybe that doesn’t make sense. Touba wasn’t wiped out here, but there was really no argument for him to win rounds, either. Konki has a much stiffer test next in Misha Aloyan of Russia. Really strong showing for Emigdio, who advances to the round of 16 to face Colombia’s Ceiber Ávila, who had a fist round bye. Hu was really impressive in this one, showing a slickness that Eker, for all his effort, just couldn’t deal with, especially early. Eker couldn’t find him much at all, let alone with any consistency. This was a split decision, and I personally had it the other way. I thought Serugo’s energy and punch output bossed the second and third rounds, but two of three judges did not agree. This one wasn’t exactly competitive, pretty much a sweep for Kharroubi, and a little ugly, particularly in the first round. Kharroubi now faces Cuba’s Yosvany Veítia in the round of 16. Cissokho has been a personal favorite so far. He has skills, style, and fights with a ton of confidence. He’s a Classy Operator, as they say. Well, as Jim Watt says. And probably more people, but Jim Watt at the very least. Ardee can really only blame himself for this loss, as he held and held and held, and didn’t fight much at all in the third round. The fight between Yeleussinov and Cissokho in the semifinals has the potential to be a real dandy. A peach. A crackerjack affair. There is some debate to be had here, but I really don’t see it as controversial. I think there’ sort of a belief that Savón is better than he is, not that he isn’t very good, because he’s very good. But he’s beatable, and Levit fought the exact right fight here, and I thought won the second and third rounds after dropping the first. Levit moves on to face Evgeny Tishchenko for the gold medal on Monday. Two things: Joe Joyce is a legit medal contender in Rio, a converted track and field guy who has power, athleticism, and developing skills. He’s a very good pro prospect, too, and the hope is he’ll join the pro ranks after the Olympics. Also, Morais was well overmatched, leading to Joyce getting a stoppage win. Muñoz is a two-time Olympian, competing in Athens as a light heavyweight way back in 2004, when he was 20. 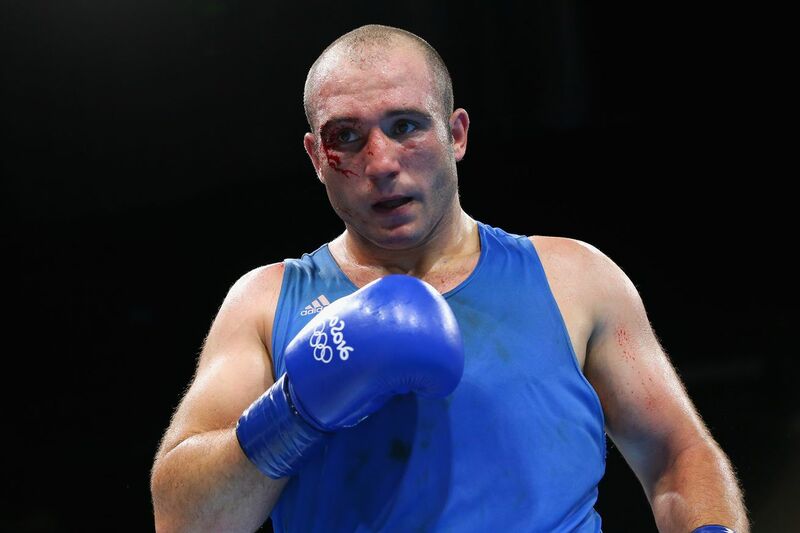 He’s 32 now, and though he’s had success (obviously, he’s in the Olympics), he was beaten up by Jalolov, a bigger, stronger, younger fighter who just clubbed away until it was stopped in the second round. Ajagba drilled Paul with a right hand late in the first round that sent Paul face first to the canvas, and the fight was over. This was a big matchup coming in. Dychko and Majidov both won bronze in London. But then this ended in the second round due to an accidental thumb to Majidov’s eye, and Dychko took an unfortunate technical decision. Terrible way to have an Olympic run end for Majidov.